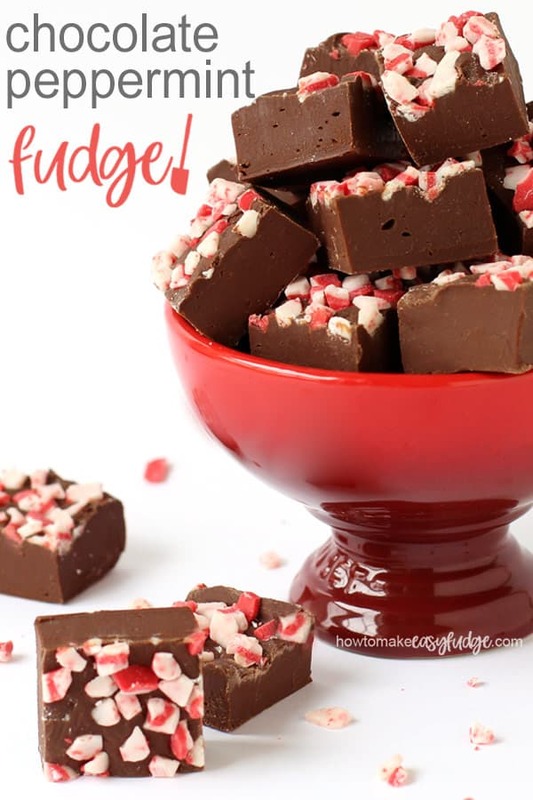 easy micrwave chocolate peppermint fudge – How to make easy fudge! How to make easy fudge! Easy microwave fudge recipes you can make without a candy thermometer. HowToMakeEasyFudge This post may contain affiliate links. 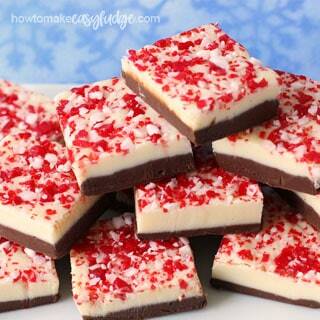 Enjoy the refreshing taste of this creamy Chocolate Peppermint Fudge. It’s sprinkled with melt-in-your-mouth peppermint bits and makes a great gift or dessert for Christmas or any day throughout the year. If you like the refreshing taste of peppermint blended with chocolate you will love this Chocolate Peppermint Fudge. My mom requested this fudge after I shared some of my Peppermint Bark Fudge with her. She loved the layers of mint flavored white and dark chocolate fudge topped with tiny bits of crushed candy canes but has a friend who isn’t a fan of white chocolate and has trouble chewing candy canes. So, I told her I’d make a batch of my amazing chocolate fudge and add peppermint extract to it instead of vanilla then sprinkle it with lots of Andes Peppermint Crunch Baking Bits. The mint flavored white chocolate candy pieces add a tiny bit of crunch but are so smooth and creamy that they melt in your mouth. The little red and white candy pieces also make this fudge festive enough to give as gifts for Christmas but the fudge isn’t so Christmasy looking that you can’t serve it or gift it for any other occasion during the year. I prefer to line my pan with non-stick tin foil or parchment paper. The fudge is easy to remove from the pan and it allows for easy clean up. 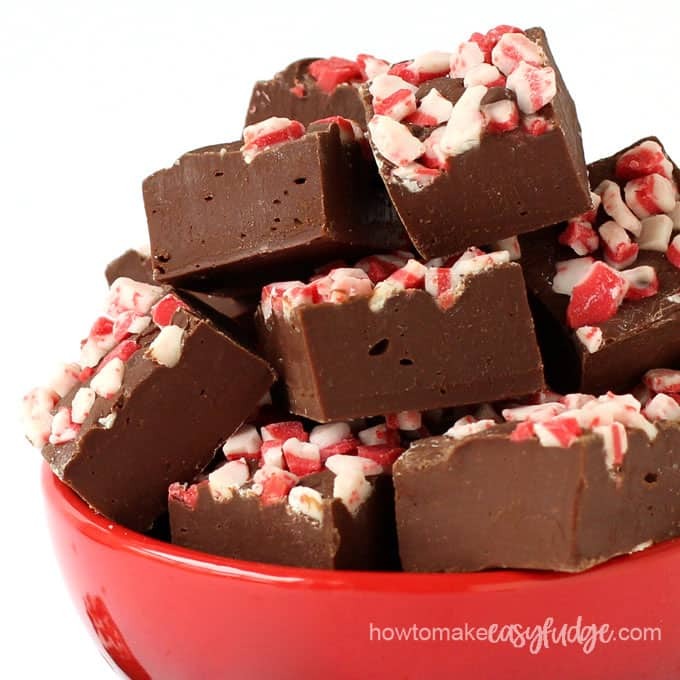 When making this chocolate peppermint fudge you want to use a chocolate that you love to eat straight out of the package. You can use semi-sweet chocolate bars, callets, wafers, or chips with 45%-60% cocoa content if you enjoy a mild chocolate fudge flavor or use bittersweet chocolate (70%-90% cocoa content) if you prefer a more robust flavored chocolate fudge. NOTE: Finely chop, grate, or shave chocolate bars in order for the chocolate to melt more quickly. The quickest way to chop your chocolate is by using a food processor. Cut the chocolate into about 1 inch pieces then pulse in the food processor until you get really fine pieces. You can even use the grating attachment to really finely grate large chunks of chocolate in the food processor. Pictured below are some of the brands of dark chocolate that you might want to use. Peter’s Burgundy is my absolute favorite brand of dark chocolate. I use it for all my candy making and have for over 30 years. It has a lovely mild dark chocolate flavor. Sweetened Condensed milk is milk that has been pasteurized and condensed (heated and cooked to remove most of the water) and sweetened with sugar and it should be used to make this fudge. Evaporated milk is not sweetened and is not thickened with sugar and will not work in this fudge recipe. Combine your chocolate and sweetened condensed milk in a microwave safe mixing bowl. Heat on 70% power for 90 seconds. Let the bowl rest in the microwave for 3 minutes. Remove and stir until smooth and creamy. If all the chocolate is not melted, let the bowl sit for another minute or so then stir again. If necessary, heat for 15 seconds at 70% power, let rest, then stir. Stir in the peppermint extract then pour the fudge into a prepared pan. Immediately sprinkle on the Andes Peppermint Crunch Baking Pieces. Gently press down on the candies to ensure they are stuck in the fudge. Cover the pan with plastic wrap or tin foil and chill in the refrigerator for about 2 hours until the fudge firms up or simply leave the pan of homemade fudge on the counter for about 4 hours until firm. Remove fudge from pan and cut into 36 small squares. If you have lined your pan with tin foil or parchment paper it is so easy to just lift the fudge out of the pan and peel off the foil or paper before cutting. Combine the chocolate and sweetened condensed milk in a medium saucepan. Set on the stove top over low heat. Heat, stirring occasionally, until about 3/4’s of the chocolate has melted. Remove from the heat and let sit for 3 minutes. Stir until smooth and creamy. Stir in the peppermint extract. Pour the fudge into a prepared pan and follow the instructions above. Got more questions about making easy fudge? 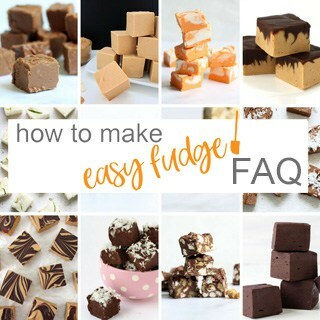 Be sure to check out our How To Make Easy Fudge FAQ page. Refreshing peppermint flavored chocolate fudge topped with red and white peppermint crunch baking bits make a festive Christmas treat, dessert, or gift. Combine the chocolate and sweetened condensed milk. Heat in the microwave at 70% power for 90 seconds. Then let the bowl rest in the microwave for 3 minutes before stirring until smooth. Add the peppermint extract and stir just to incorporate. Pour into a prepared pan. Cover and chill for at least 2 hours. 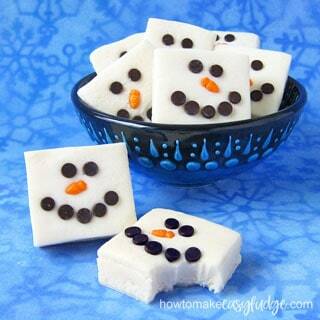 Remove from refrigerator and cut into 36 pieces. If using a microwave, heat at 70% power for 90 seconds. Let rest in the microwave for 3 minutes before stirring. If needed, repeat for 15 second increments. If using the stove top, heat in a medium saucepan set over low heat, stirring until 75% of the chocolate is melted. Remove and stir until melted, allowing it to rest for a few minutes in order for the residual heat to continue melting the chocolate. See the tutorial for food processor instructions. Butter, spray, or line (with parchment paper or non-stick tin foil) a 6 or 8 inch square or an 8x4 inch loaf pan. Use a sharp knife to cut into squares, slices, or rectangles. The calories are calculated based on 16 large pieces. If you have any questions or would like to tell us about your experience making this easy fudge recipe be sure to leave a comment below. Oh, and don’t forget to rate the recipe using the star rating system. Thanks for sharing this recipe on social media using the share buttons too! Get our new Easy Fudge Recipes via email! I love chocolate and mint paired together and this fudge was so yummy. I couldn’t find the peppermint bits at this time of year so I used traditional Andes Mints and just cut them up. They tasted and looked great. 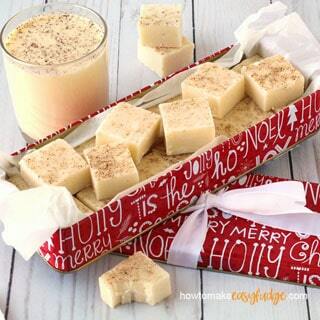 We are so happy you found a way to make this fudge work any time of year. Using Andes Mints is a great idea. It does give the fudge a slightly different flavor but it is definitely delicious too! Thank you for stopping by to learn How to Make Easy Fudge! 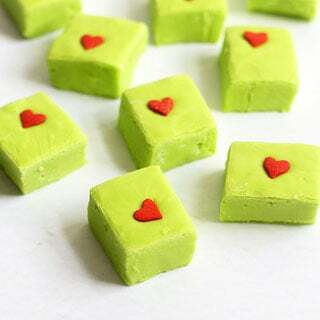 Get our new Easy Fudge Recipes in your email inbox! How To Make Easy Fudge is a participant in the Amazon Services LLC Associates Program, an affiliate advertising program designed to provide a means for sites to earn advertising fees by advertising and linking to amazon.com. We shall disclose when we share sponsored content.